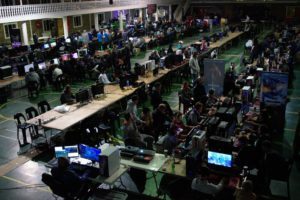 The Ballistix Masters Championship 2018 took place over the weekend at LanX, Pretoria. Battlefield and Dota 2 teams fought for a share of R60,000 per title. If you missed the Dota 2 action you can head to YouTube/JubbaGaming to check out the VODs. This was a Dota 2 tournament with a few many upsets, with Goliath Gaming managing wins against White Rabbit Gaming and Sinister5 to make it to the Grand Final! Congratulations to all the teams who participated.